With a rich history and unparalleled design, it’s no secret why people all around the world love Glastron. What another boat on the market has such an appealing American story and innovative design without compromising on safety? The Glaston “sweep spear” alone is the most well-known icon in the boating industry and is the equivalent to the Nike “swoosh.” For over 50 years, Glaston has been making milestones in the marine industry that few boat companies have been able to achieve. Nearly half a million boats later, Glaston continues to make a mark with unprecedented product innovations and technological breakthroughs. Of these, the most famous have been: the deep-vee hull, the tri-hull, two-tone graphics, sterndrive-powered boats, the SSV hull, and the Fiberglass stinger systems. 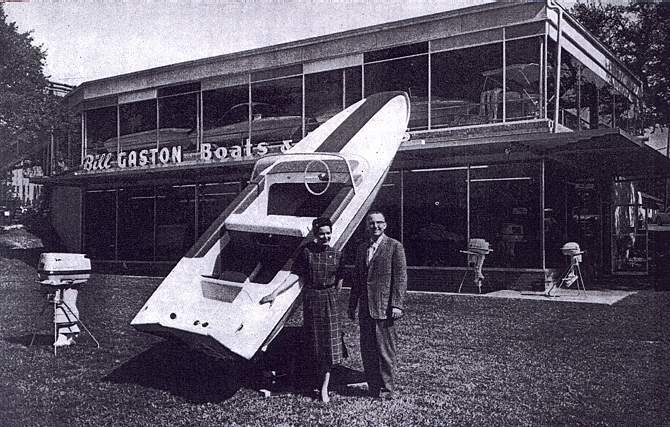 In 1953, while working as a production manager in the fiberglass division for an aluminum boat builder, Bob Hammond made the decision to bring new design and performance on the boat market by introducing a fiberglass boat, called the Glastron. Although most of the American economy was booming and many people purchased boats, a lot of them were first skeptical of the new material available on the market but his designs and the performance of the boats impressed many. In the beginning, Glastron produced 24 boats. With such popularity and rapid growth, the company produced 900 in their second year and 4,000 boats by the end of their third. As sales continued to grow, so did their reputation as an innovative and progressive new brand. With that, many of the Hollywood production teams began to star the boat in their films. In 1966, Glastron created a custom boat for the film “Batman”, and another for the James Bond film “Live and Let Die,” where Bond made a 120ft jump in a Glastron GT 150. As the 1970s came around, Glastron was the sales leader of the industry with a record production pace of a boat completed every four and a half minutes. Since then, Glastron has been known for designing and building boats that provide a great overall family boating experience with three great Glaston qualities: innovative technology, functional and family-friendly designs and outstanding performance. Unlike some boat manufacturing companies, Glastron does not quote Manufacturer’s Suggested Retail Prices” (MSRP’s), which are more often than not inflated to give the buyer the sense that he or she is buying at a discount. That being said, what you see is the “real deal” and it’s this straightforward approach and transparency that sets them apart from the rest. Likewise, Glastron also provides performance data on every model so you can see for yourself how the Glastron boat stacks up against other brands in their category. economy. It’s also patented by Glaston, so no matter what other manufacturers may tell you, they don’t have an SSV hull. It’s an American icon, that offers buyers accessibility while maintaining its incredible design legacy. Unlike other boats on the market, Glastron is about passion for boat building and is synonymous with modern lifestyle traits that are reflected with their signature roadster looks, full-size windshields, sleek lines and incredible attention to detail. Glastron boats, effortlessly exceed buyer expectations just by their driving experience alone. In comparison to other boats in the same range, Glaston’s lightweight construction paired with powerful engines makes the ride nothing short of thrilling. Likewise, one of the best ways to judge the quality of a boat is to look at how it’s warranted. Glastron offers lifetime limited warranty for as long as you own the boat. In fact, Glastron has such loyal buyers that three out of four Glastron owners indicate that they are likely to buy another Glastron boat. Glastron’s focused vision of what boat ownership should be about, it reflects true American design and tells an interesting story. Not only did they move to v-hulls before most manufacturers, but they changed hull shapes every couple of years to stay ahead of their competitors who began copying their hull designs and calling them their own. With the fiberglass boat industry being extremely competitive during that time, Glastron always anticipated the needs of many family boaters and thus still prevailed and never compromised in safety with their built-in safety features. Today, Glastron is still recalled as an innovator in the recreational boating industry – not just as a pioneer in the manufacturing of fiberglass boats but also in the promotion of the actual sport. 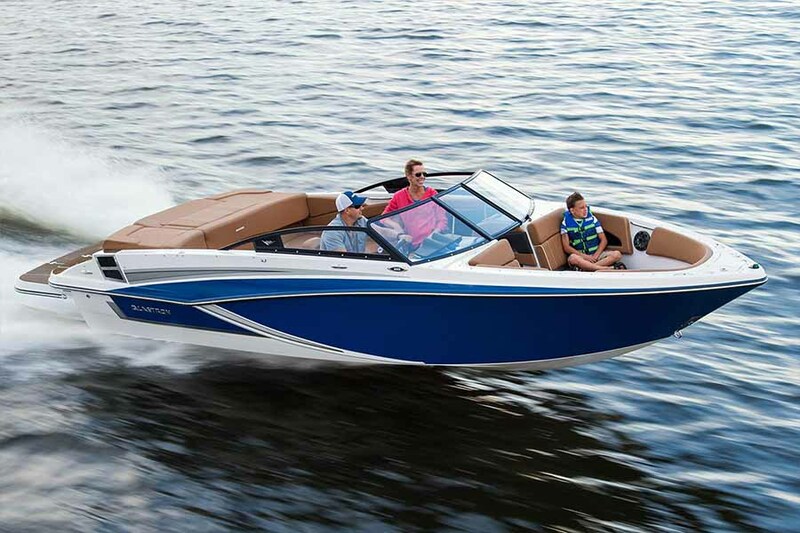 Frequently referred to as the “Boat of the Summer”, Glastron’s line of models today include the Glastron GT 180, Glastron GT 200, Glastron GTD 200 and Glastron 259OB, just no name a few. To learn more or make a purchase, https://www.nauticalventures.com please visit Nautical Ventures Marine Superstore, an award-winning boating dealership with locations in both Palm Beach and Broward County.